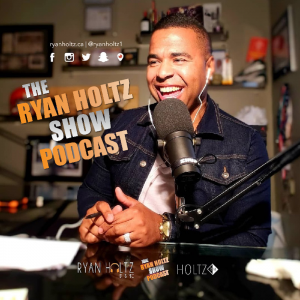 In this episode of The Ryan Holtz Show Podcast, I chat with a special guest by the name of Ross Simmonds. 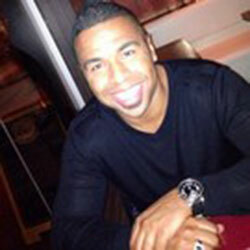 Ross Simmonds is an entrepreneur with a passion for technology and communications. He has spent the last seven years working in digital marketing through his company Foundation Marketing and has had the chance to work with brands ranging from Fortune 500 companies to startups. 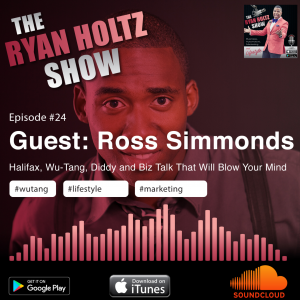 Ross is also the co-founder of a software called Crate and the e-commerce site Hustle & Grind. He was named by Mashable as a top Snapchat marketer and has been published in Forbes, Huffington Post, Venturebeat and more. Even Diddy took some notes on how to use Snapchat from this dude! – Creating roadmaps that bring all your passions whether you want to be a pharmacist or singer, do it! We all expire at the end of the day! – Snapchat guide taught Puff Daddy “Diddy” to Snapchat! – You are giving away this content for free, how do you get paid? – Did you unfollow me?